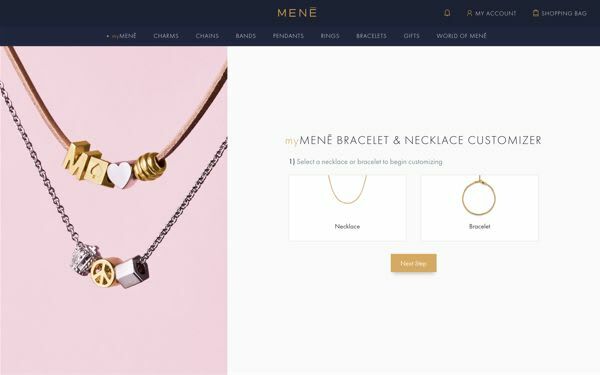 TORONTO – November 16, 2018 – Menē Inc. (TSX-V:MENE) (“Menē” or the “Company”), an online 24 karat jewelry brand, today unveiled its new interactive myMENĒ jewelry customization technology and user experience. myMENĒ combines technology developed in-house by the Company’s product and engineering teams with Menē’s unique business model to provide a highly customized user experience to consumers via any desktop computer or mobile device. 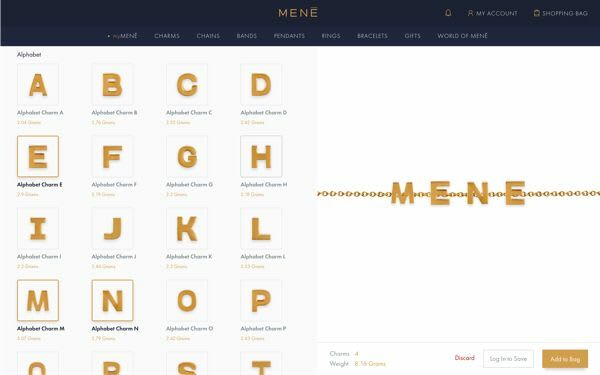 This intelligent new feature allows Menē customers to choose from the Company’s ever-expanding collection of 24 karat gold and platinum charms to create, preview, edit, share, and purchase customized Menē bracelets and necklaces. Charm bracelets and necklaces can be built by matching selected charms with various lengths of gold and platinum Menē Classic Chains, Chain Bracelets, and free genuine leather cowhide leather cord bracelets and necklaces. The new customization feature will soon be expanded to include the Company’s selection of 24 karat gold and platinum pendants, medallions, and Menē Narrow Chains. Customers can add their custom creations to their shopping bag for immediate purchase and have their order shipped to themselves or delivered to others as gifts. Customers can also save a custom design to their Wishlist to revisit later or share with friends and family from their account Dashboard. 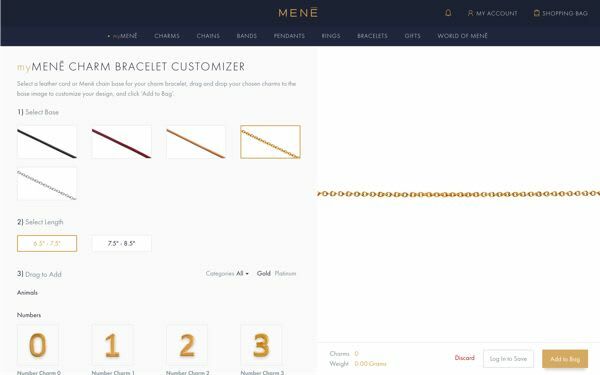 To experience the myMENĒ Bracelet & Necklace Customizer, visit: mene.com/my-mene.